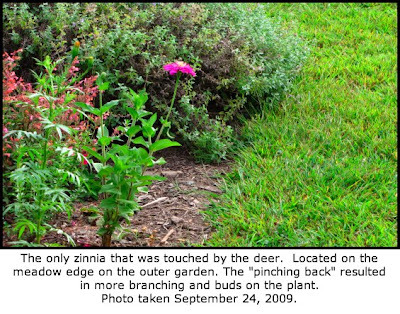 Defining Your Home, Garden and Travel: Are Zinnias Deer Resistant? Every night is party night in my outer gardens. The local deer regularly invite all of their distant deer friends and relatives to my meadow for a sleepover. It is not unusual for 20+ deer to converge on the meadow at nightfall and remain there until we roust them out in the morning. Whatever grows in the outer gardens, beyond the safety of the cottage garden fence, has to be deer resistant without the use of repellents. I love zinnias and the cottage garden is overflowing with blooms. 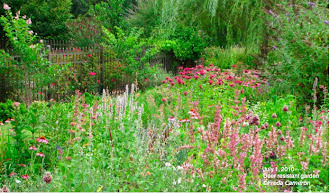 I want to have the same kind of mass planting in the outer gardens next year. And so, I experimented. I tempted and tested the deer to see if they like to eat the flowers that I like to grow. Although zinnias are listed as deer resistant on many "knowledgeable" lists, I started with just a few flowers to see if my deer agree with the experts. I sowed zinnia seeds in various places that are easily accessed by the deer - such as right under their little noses along their favorite paths and the garden/meadow edge. Seeds are inexpensive, so I didn't break the garden budget with this experiment. All of my zinnias are Benary's Giant (zinnia elegans). These are tall zinnias, some growing well over four feet high in the rich soil of my cottage garden that is on drip irrigation, if needed. The cottage garden zinnias were sown in late May with a few more sown in late June. 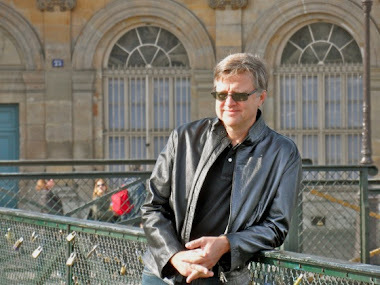 In the outer gardens, life is tougher. No babying out there, so the zinnias are sown in leaner soil and had to withstand the summer heat and drought without supplemental watering. 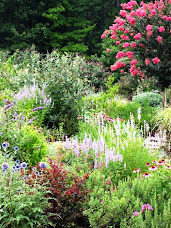 The zinnias in the outer gardens were sown in mid-July and that has also contributed to a shorter height at this point. 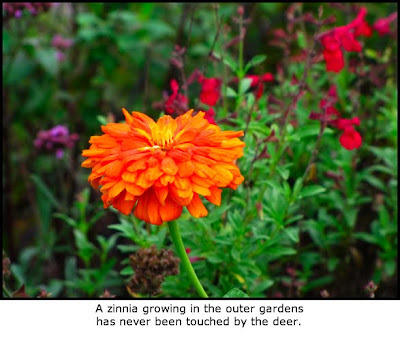 So what happened to the zinnias in the deer gardens? Not much. One zinnia at the meadow edge was pinched back early on by the deer tasting party. It must have been something like a wine tasting. Taste a small amount and spit it out. The deer didn't like the foliage of these zinnias at all. The sampled zinnia is short, but has branched out to be loaded with buds and one bloom, so far. The other zinnias in the deer gardens are taller and have been blooming off and on like their sisters in the cottage garden. I am happy with the results and plan to include a big swath of zinnias in the outer gardens next year. 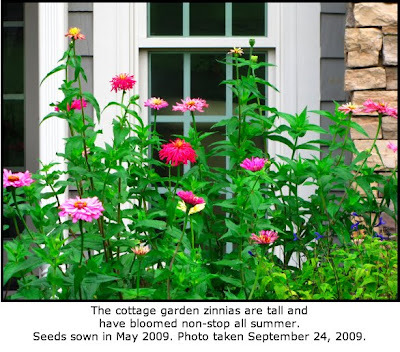 So, I have high hopes for a large cutting garden of zinnias in 2010. 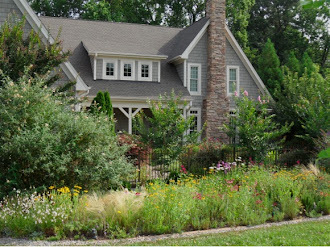 Whenever I mention deer resistant flowers in my garden, I must also say that your deer may like plants that my deer won't eat (and vice-versa).